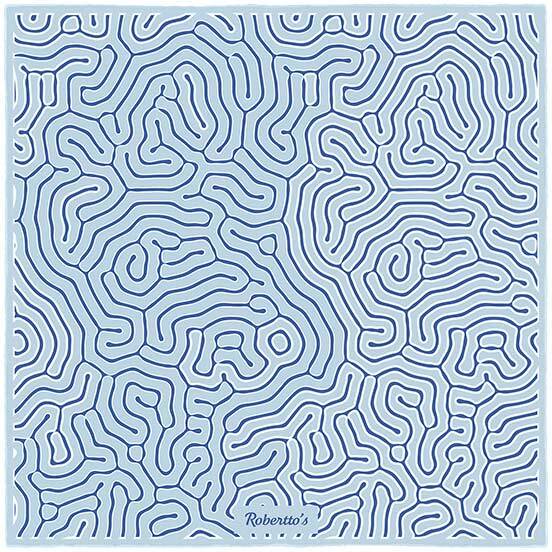 The route of the modern, urbane individual is rarely the straight and narrow one. 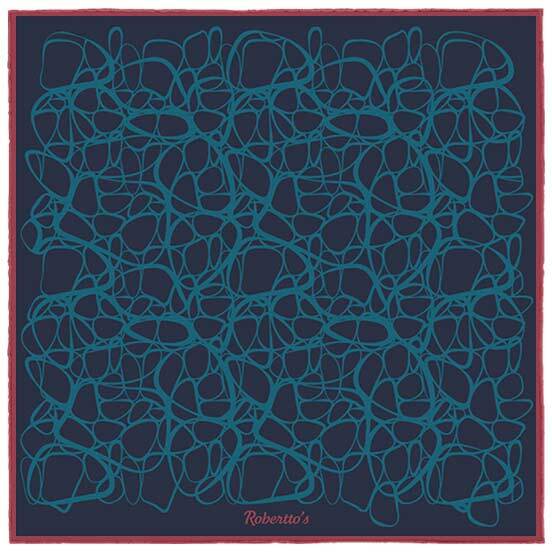 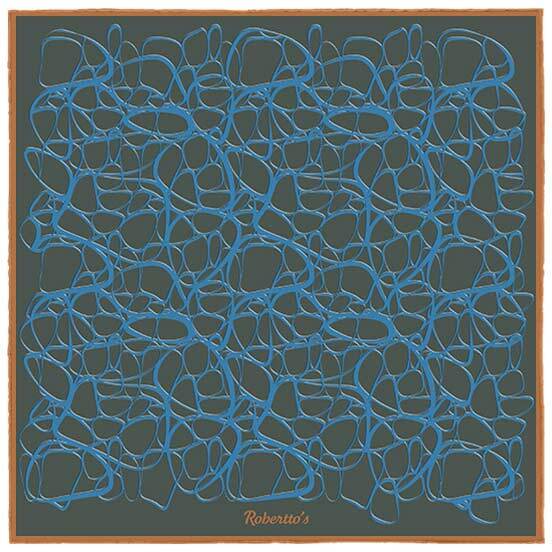 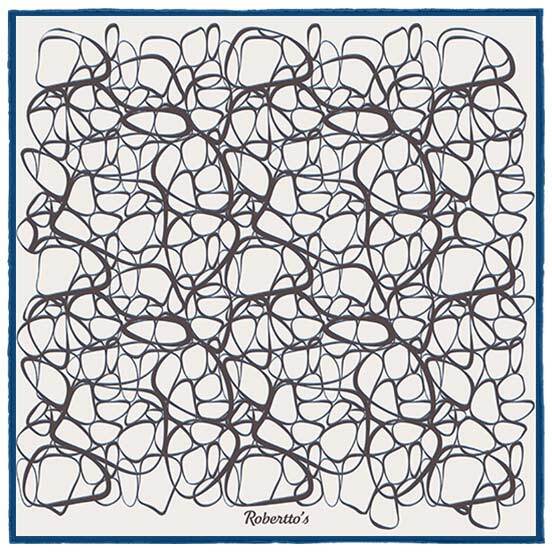 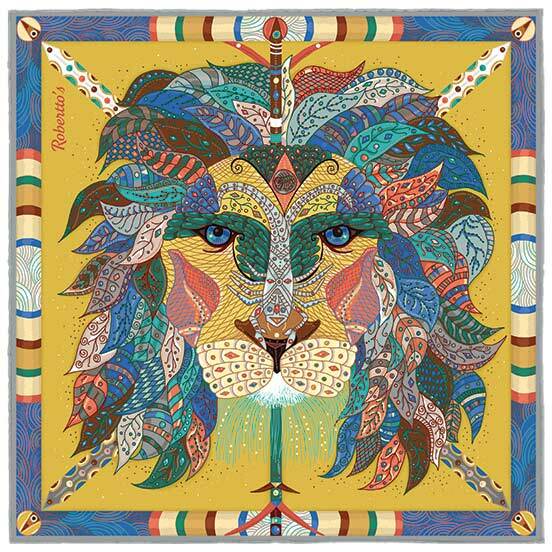 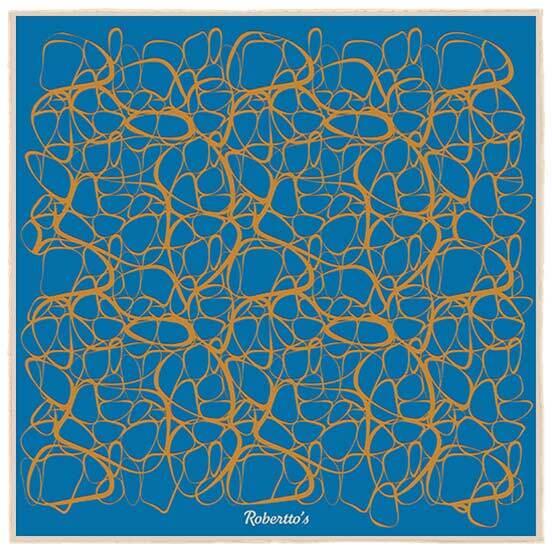 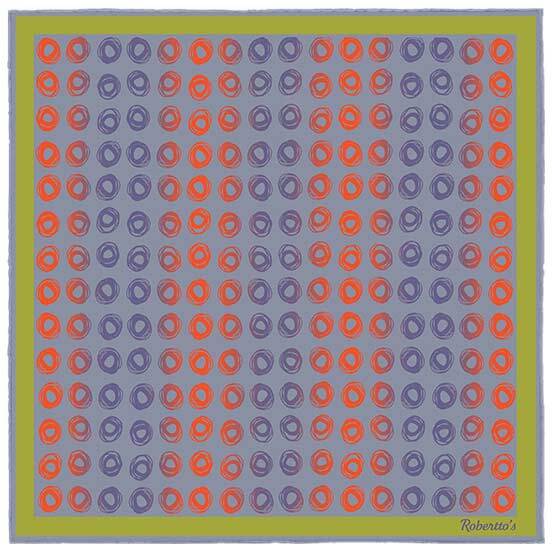 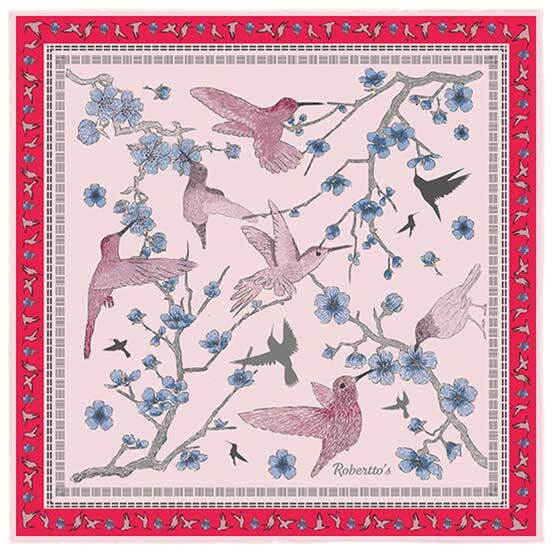 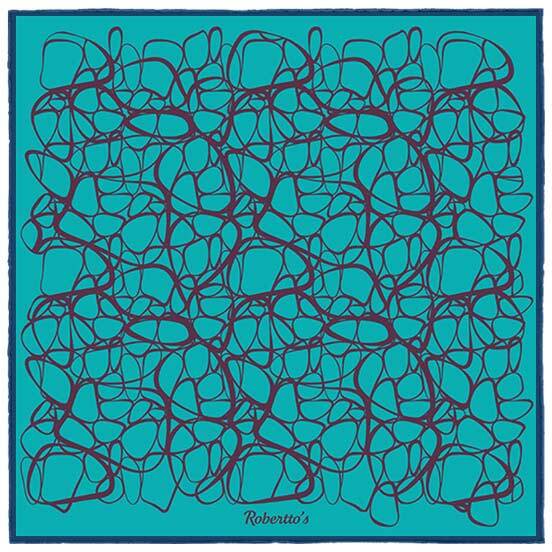 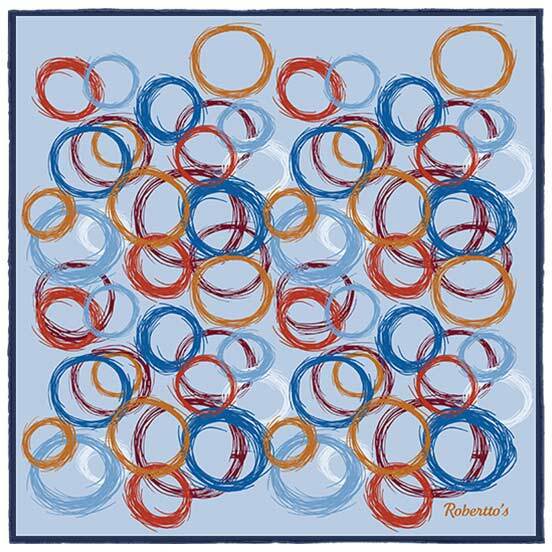 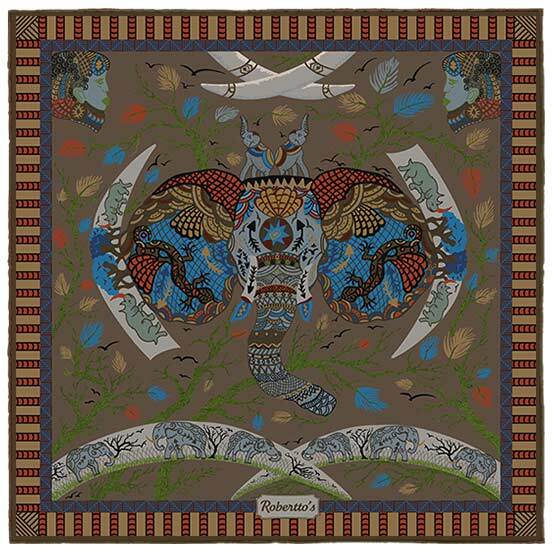 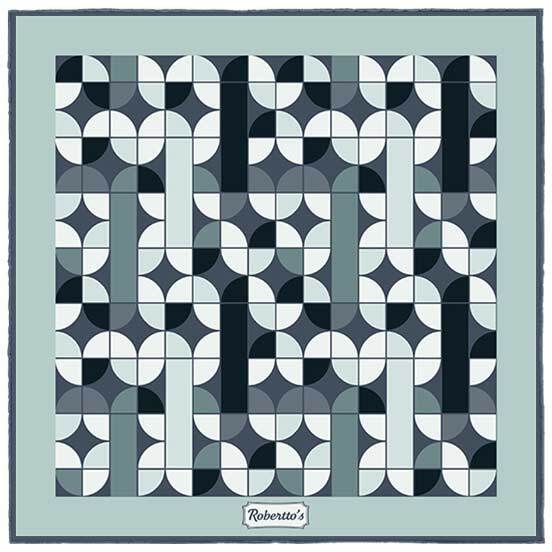 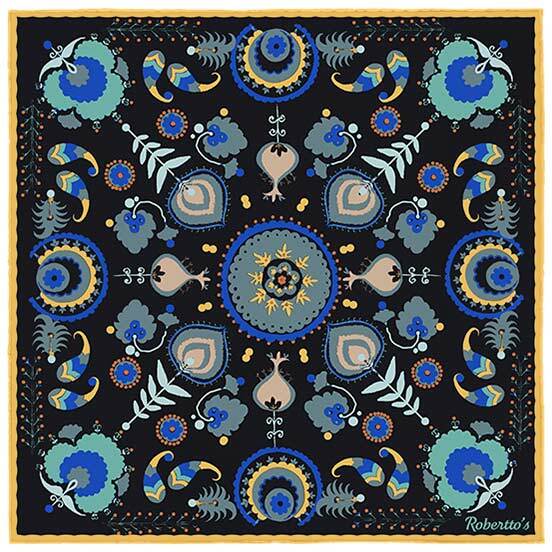 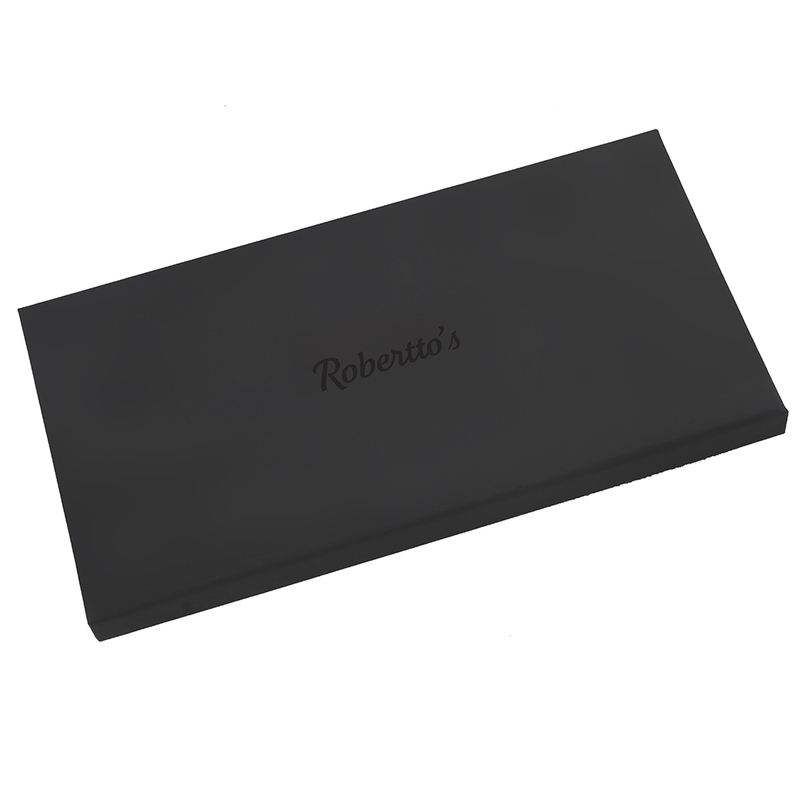 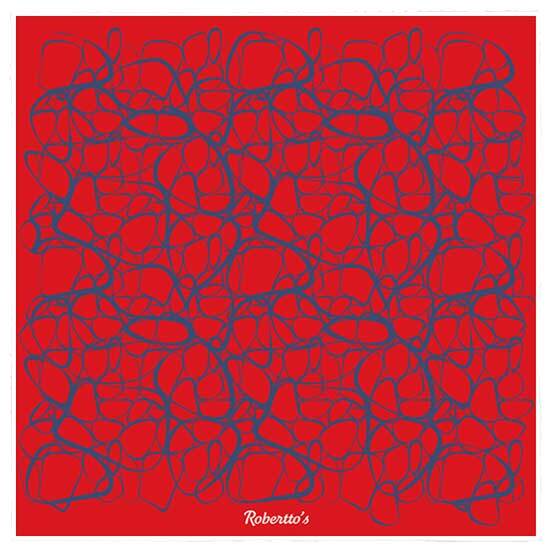 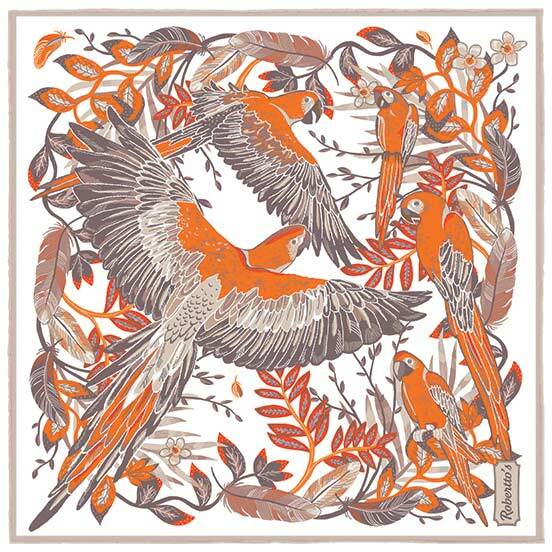 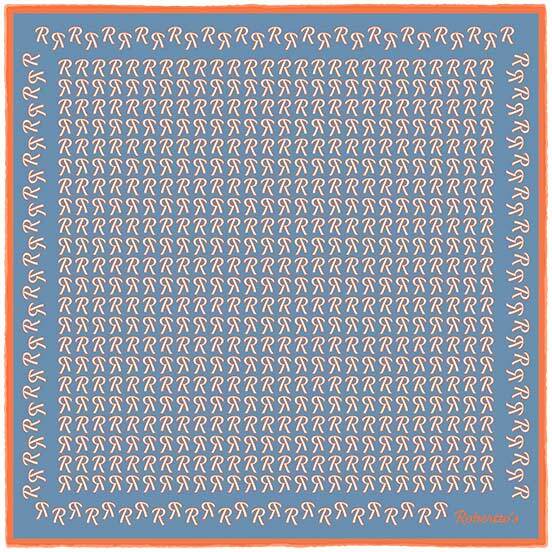 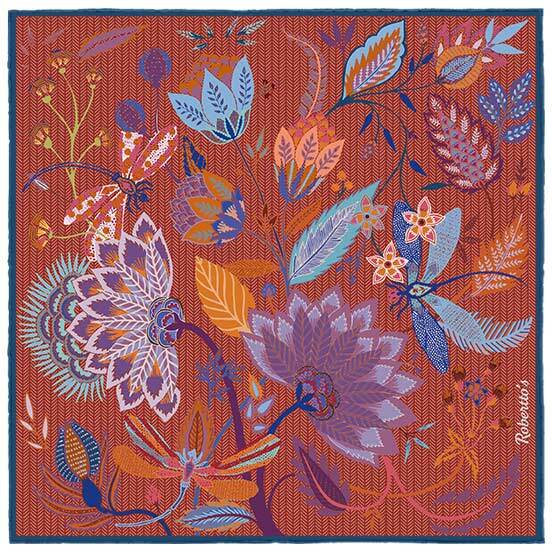 Indeed, the finest things in life are never found on the main thoroughfares, but rather in the avenues and alleyways that loop and whorl their way around the city – something which this elegant and unique pocket square represents perfectly. 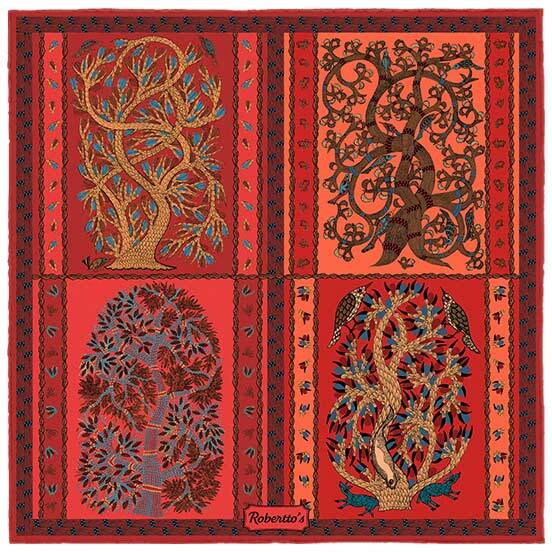 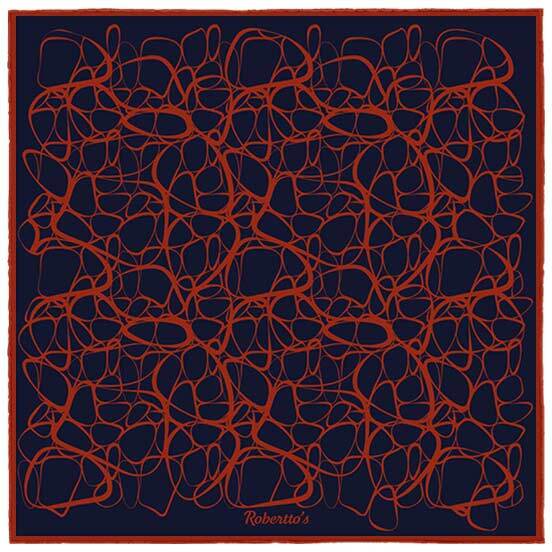 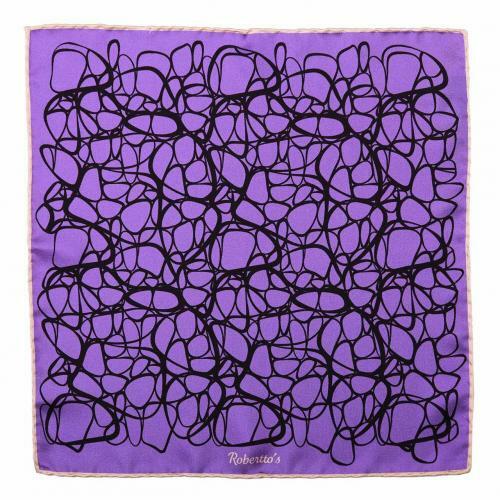 Half Jackson Pollock, half labyrinth, the eye-catching and fascinating design on this beautifully made pocket square is the ideal pattern for those who never tire of seeking out the very best. 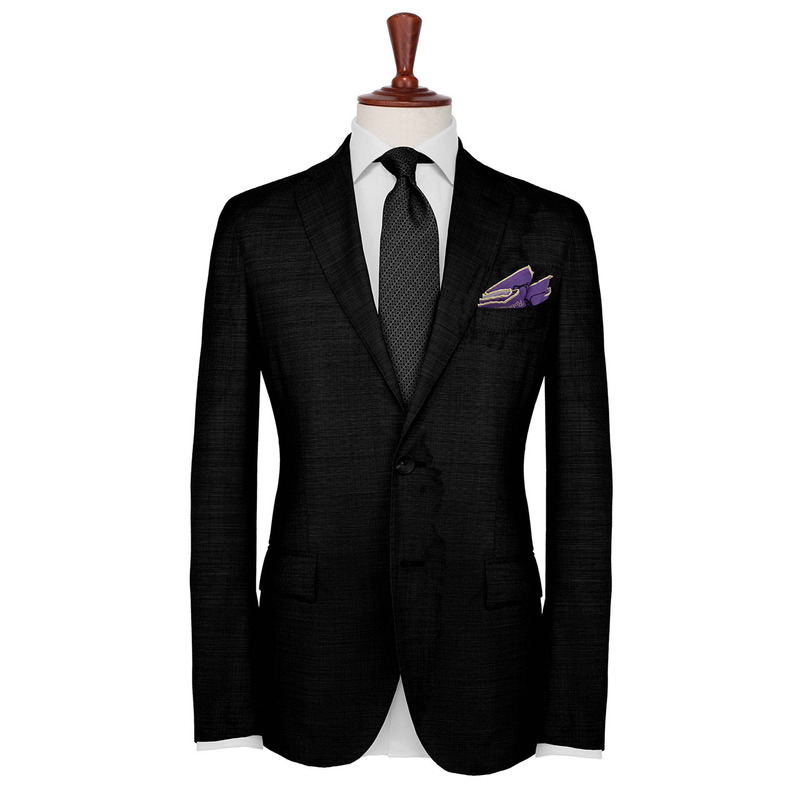 By bringing together a rich palette of contrasting colors, high quality materials, hand-rolled hems and a design which is the very essence of the avant-garde, this suit accessory is sure to make a significant impact on all those whose paths cross it. 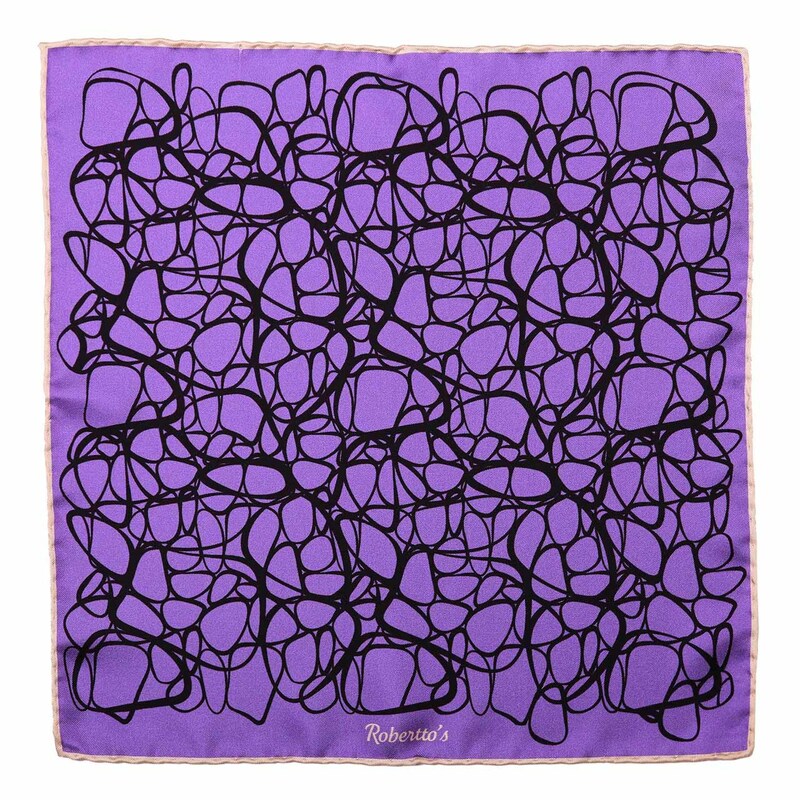 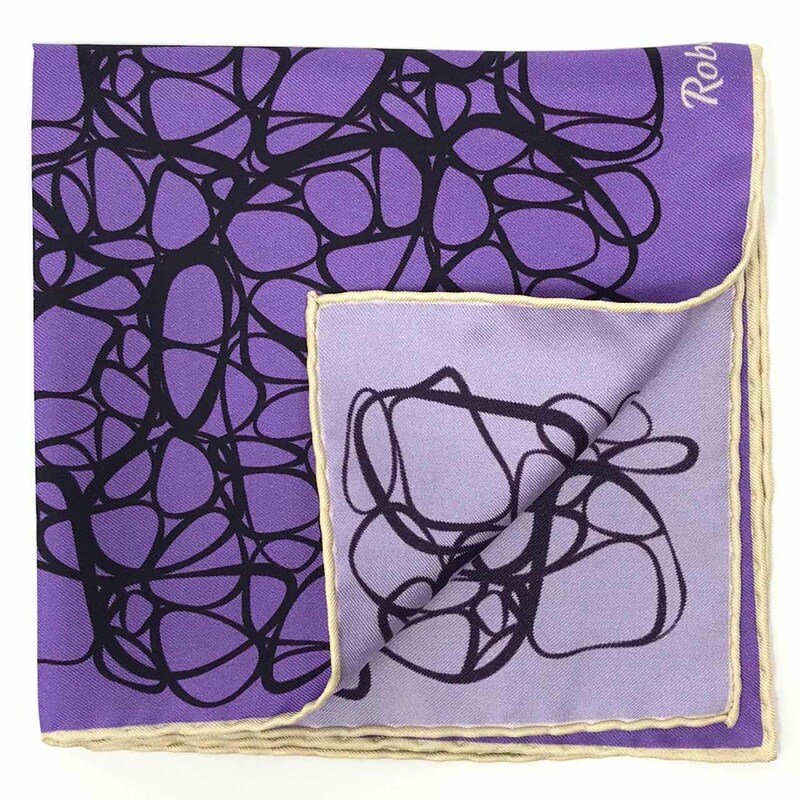 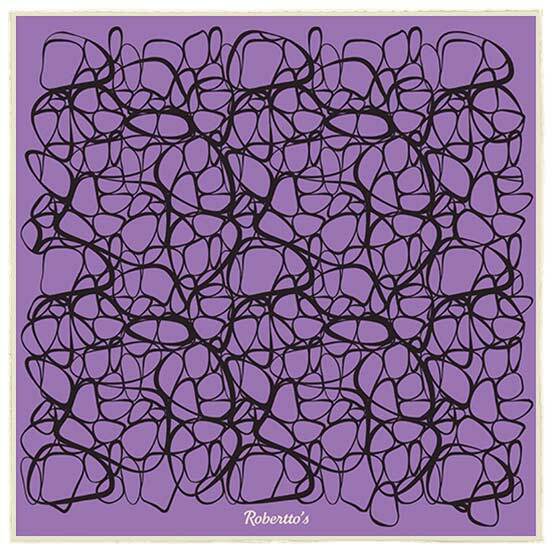 With its violet background and black abstract pattern, there is something rather regal about this otherwise highly modern pocket square. 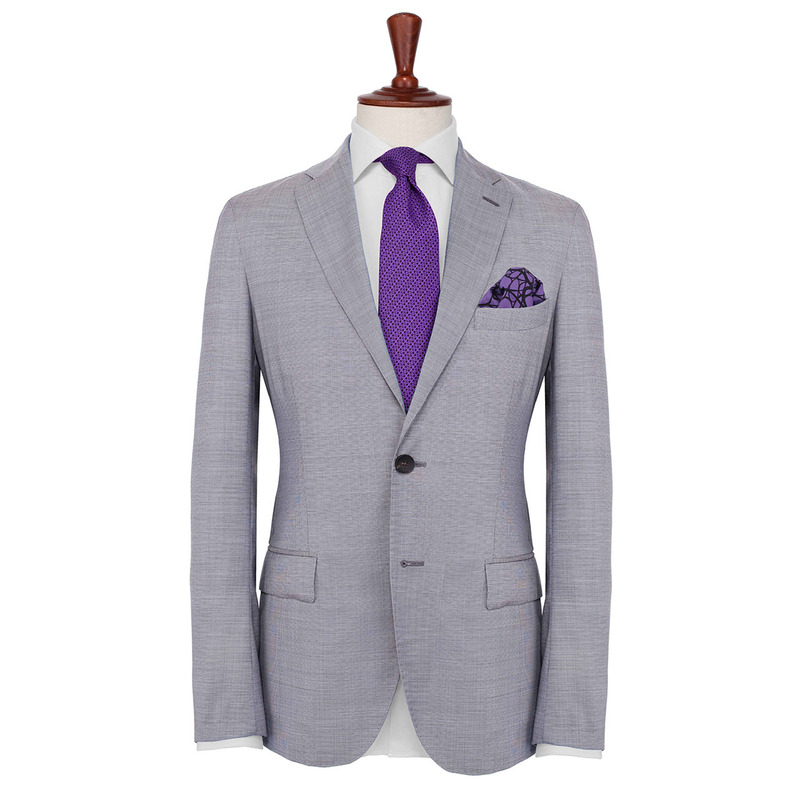 This is the ideal suit accessory for those who like to blend the vintage with the contemporary, and who know that the key to real style comes from being unafraid to make bold statements. 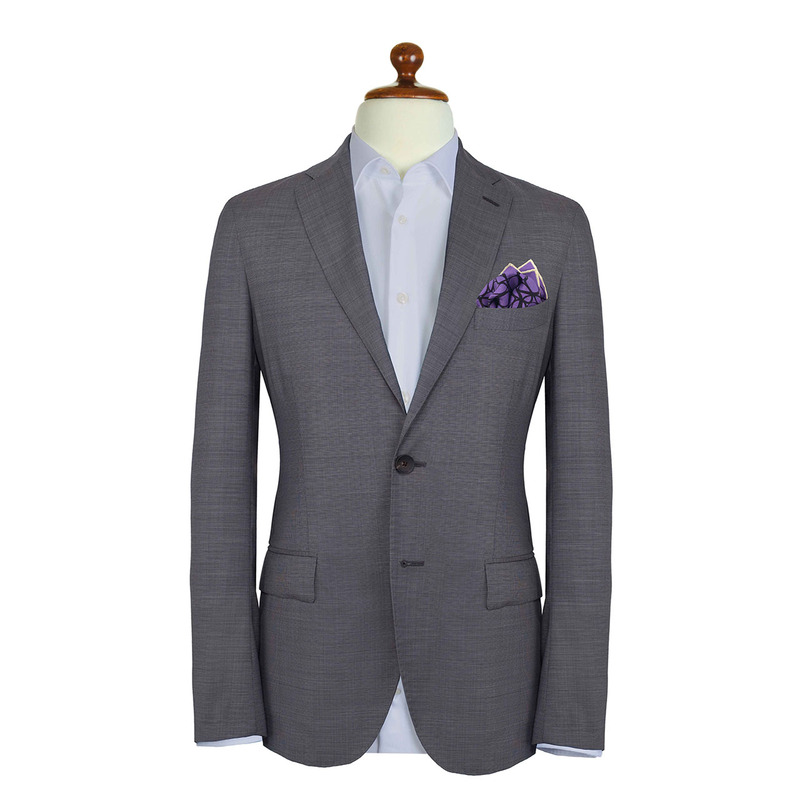 Fold this beautiful silk handkerchief into the pocket of a black suit, worn with a white shirt and a lavender and black knitted tie, for a look which is both timeless, yet absolutely on trend.